The weather in New York has been crazy. On Christmas eve, the high was 72°F (22°C). That was hotter than the weather in Cyprus! Because of the unusually warm fall, things have been a little strange around here. The grass outside our building is lush and green. The rose bushes a couple of blocks away are still blooming. So have the trees in the park in our neighborhood. The stores are putting all of their winter clothes on sale. Nothing has sold. Fashionistas are apparently freaking out because they can’t wear this year’s winter clothes. Christmas this year felt like an imposter. When people are walking outside in shorts and t-shirts it doesn’t give you quite that holiday spirit (unless you live in LA or Florida I guess). It’s hard to even enjoy this nice weather, knowing that it may be a harbinger of more extreme weather, super hurricanes, plagues of locusts, alien invasions, and humanity’s annihilation! 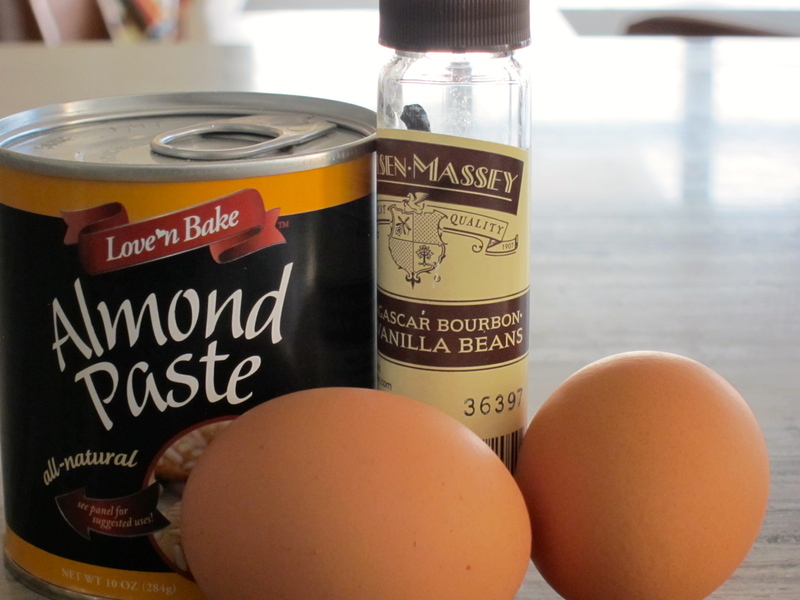 So prepare yourselves for the apocalypse by making this pear vanilla jam. 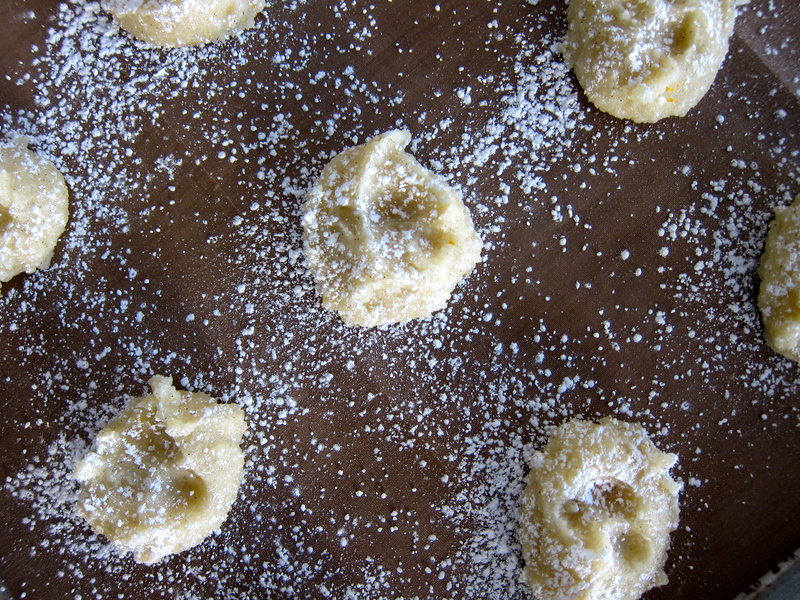 The recipe is from my friend JC who has been making it for years and generously shared it with me. The jam is lovely and it will keep you well fed in your doomsday bunker. First, peel, core, and dice the pears. Weigh the diced pears. Place them in a large, heavy pot and add 45% of the weight of the pears in sugar (so if your diced pears weighed 1 kg, add 450 g of sugar). Add the vanilla seeds and the lemon juice. Bring to a boil over medium-high heat, stirring until sugar dissolves. Continue boiling for about 20 minutes. Test the jam by placing a little on a plate that you’ve kept in the freezer. Return to the freezer for 2-3 minutes. Push the jam with your index finger. If the liquid part is wrinkling, the jam is done. If not, boil it for another 5 minutes. Don’t boil it for more than 25-30 minutes. Since the jam doesn’t have added pectin it never gets quite as gel-like as other jams but it’s solid enough to be spreadable. The jam can be canned for long term storage (in your bunker). Alternatively, you can place it in clean jars and freeze it. There is something about quince that really takes me back to my childhood. I always remember having it either as a jam or a preserve or a thick jelly-like paste, moderately sweet, something vaguely exotic about it, and with that unmistakable texture, like a thousand tiny grains in your mouth. I can’t say it was ever my absolute favorite dessert as a kid. It was probably my second least favorite, behind a preserve made from bitter green oranges called kitromilo. But it was, and is, a taste of home, as familiar as my mom’s avgolemono soup and rose-flavored ice cream. The funny thing is that I never actually saw an uncooked quince until I moved to the US and found it many years later at a farmer’s market. You’ll know it’s there before you see it. If the quince is ripe, it perfumes the air with the scents of apples and pears and vanilla, with a hint of something flowery (maybe cardamom?). But don’t be tempted to take a bite. 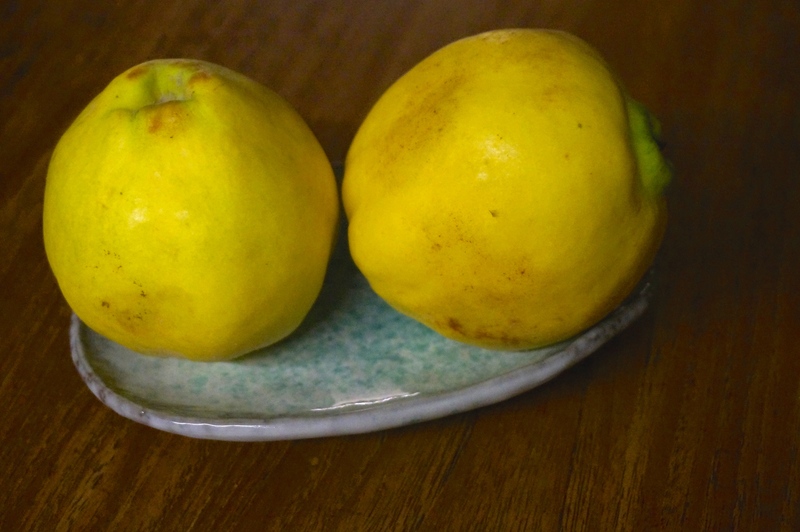 Quinces are incredibly astringent when raw. 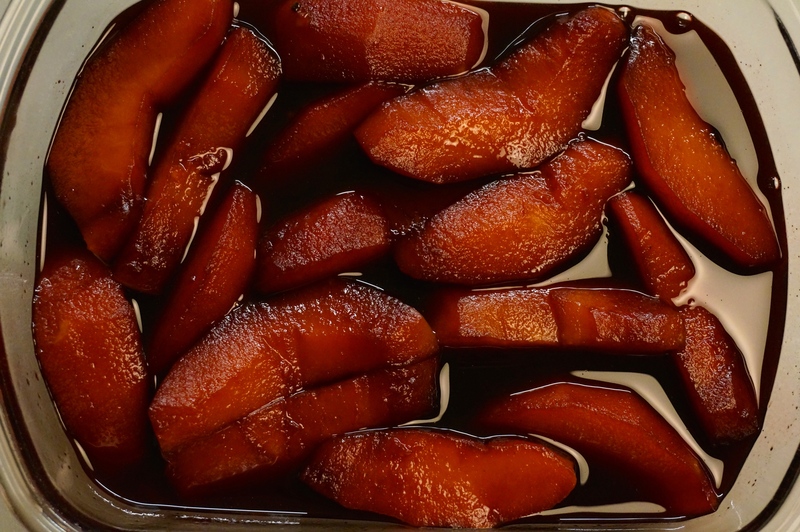 But when cooked, they become sweet and soft, while changing color from white to pink and apricot hues. So, as you plan your Thanksgiving meal, looking at yet another variation on pecan pie and pumpkin pie, consider this: quince slices, poached in a delicately spiced juice, served with a dollop of whipped cream. It’s the dessert for that moment when everyone says they simply have no more room in their bellies. Or even better, it’s the simple breakfast for you the next morning. Remove the core from the quince quarters. Discard half of the cores and tie the remaining half in a bundle using double-layered cheese cloth. Cut the quince quarters in half lengthwise. You will have 16 quince slices. Place the quince slices in a large saucepan and add the juice, sugar, vanilla bean and seeds, orange rind, orange juice, and star anise. Add the bundle of cores and bring to a boil. Turn down heat to maintain a gentle simmer and cover the pan. Cook for about 20 minutes until the quince quarters are soft. Using a slotted spoon, remove quince slices and set aside. Keep lid off pan and bring back to a low boil. Cook sauce for about 30 minutes until it has reduced and is slightly thicker (the consistency of thin syrup). Remove from heat and remove and discard core bundle, rind, star anise, and vanilla bean. 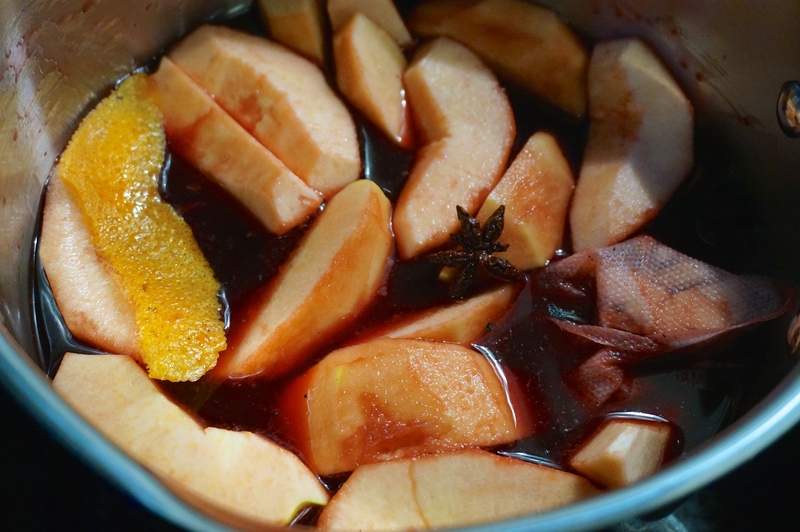 Return quince slices in saucepan and stir gently to coat. 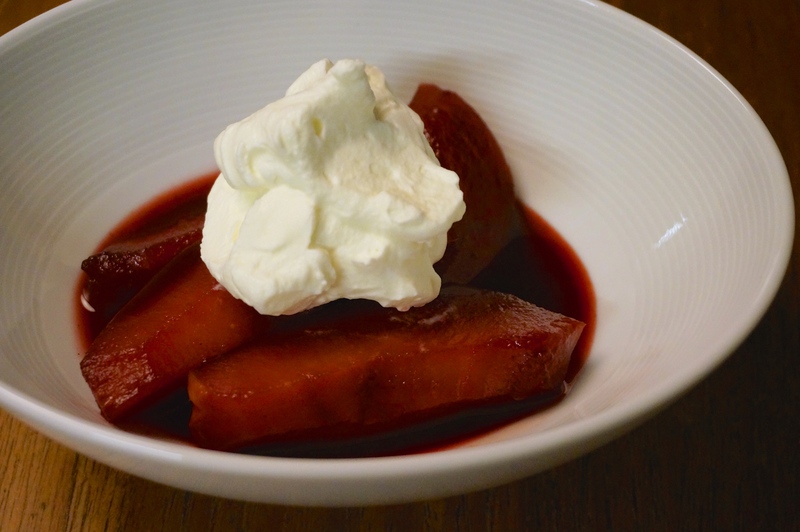 Serve warm or chilled (let quince cool in syrup and chill, covered, in fridge). 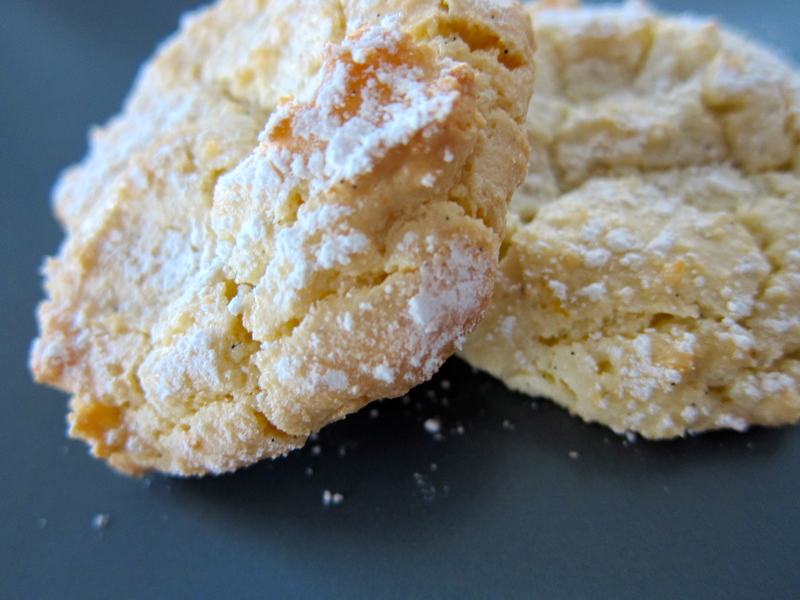 Top with a dollop of whipped cream, crème fraîche, or clotted cream.